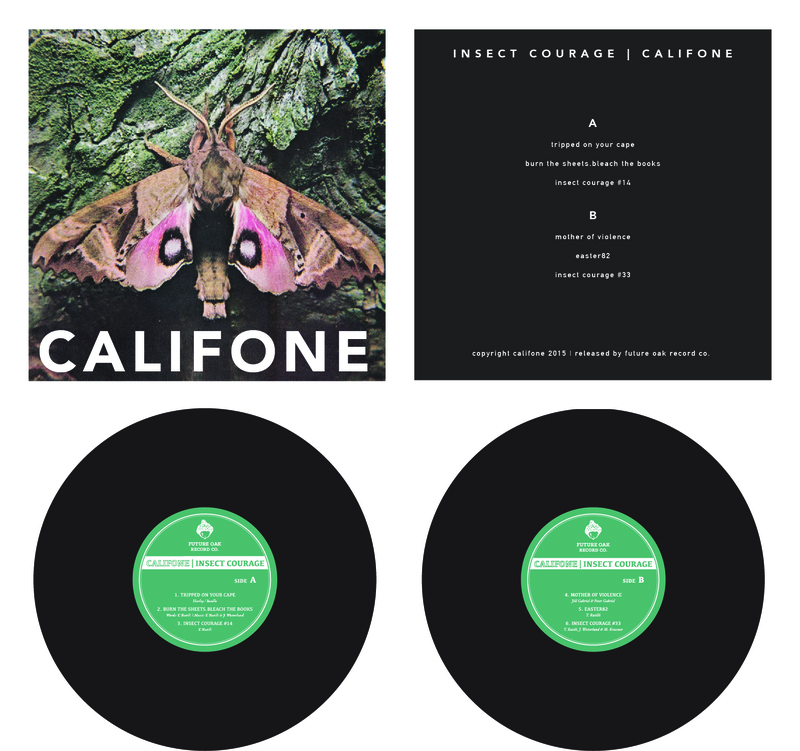 very proud and happy to say we have a new 10inch vinyl EP available now via our friends at future oak record co. it is called califone // insect courage ..it plays at 45rpm. each record comes with a letterpress insert, each jacket run through an industrial press labeled boldly. included, as well, is a wooden nickel which can be used to access a digital download of the songs, because you should be able to touch digital downloads, too. you can order it right here! LIVING ROOM SHOW TICKETS These shows are being hosted in privates spaces and each one is limited to 40-60 tickets. All tickets must be purchased in advance. The full address to the secret location will be sent to you after purchase is complete. Don’t delay… these shows always sell out quickly. tripped on your cape. this is a cover of a sin ropas song from their first record 3 cherries. i absolutely love this song. it’s been stuck to my brain since i first heard it all those years ago. this song reminds me of game of thrones but microscopic. this was recorded at home with Griffin Rodreguez, Joe Westerlund on percussion and mixed by Michael Krassner. burn the sheets.bleach the books. this is a section cut from an hour long abstract improvised piece recorded with Joe Westerlund and 2 mics in my living room. almost immediately a melody and words came. again, small against the sky. night time, squinting down from up here makes the city look like embers. we wish on every passing light in the sky. insect courage #14. the red electric guitar that’s not plugged in recorded with the telephone outside on my back porch. the bugs are exaggerated and the piano notes are an overdub. mother of violence. this is a peter gabriel song. I first heard it when i was in was a kid hanging out in loftus’ room smoking weed. i got an education in how to hear music in that room. this song scared the daylights out of me and also struck me as beautiful and true. too high, getting hit in the belly by a song and trying not to cry in front of people. layers and layers of top with no safe bottom in sight. this one floats by. added recordings of my neighborhood’s fourth of july celebration to the end to mix with Joe Westerlund’s beautiful fragmented percussion work. easter 82. bug song. spring-feverish. migration song. panic when the seasons change. 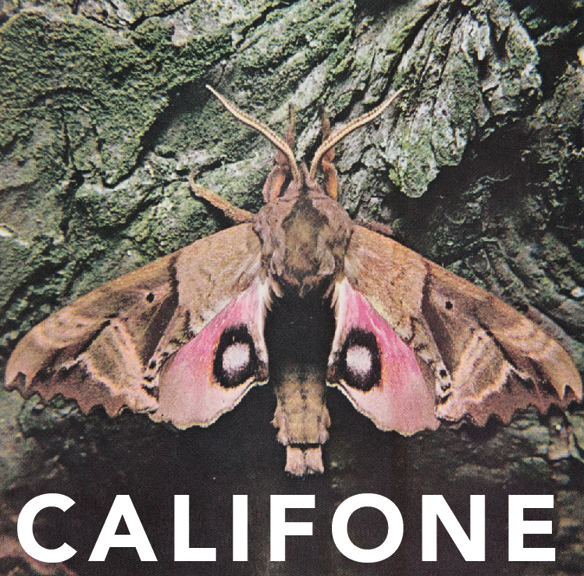 started with layers of melodica amped and treated through guitar effects. 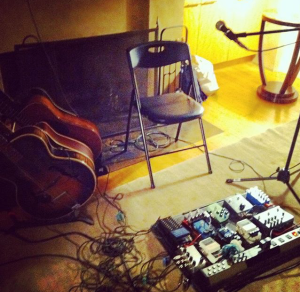 recorded partly at home and partly in phoenix with Michael Krassner. instinct vs reason.stupidity as a survival mechanism. wanting what you have and loving who loves you. fear. bug dreams. how we get along and stay together.i dont know. insect courage #33. another section of that long improvised piece that became burn the sheets. me & Joe Westerlund in the living room. i can hear the sliding glass doors. Michael Krassner added a layer of beautiful guitar playing and mixed this in phoenix. some years ago in chicago, my cousin called and invited me to join her for “discovery center” classes with a shaman. i was curious about that stuff and thought it would be a good excuse to hang with my cousin. the discovery center insert in the weekly paper made every experience they were selling look a little tacky but i decided to put cynicism away and give it a shot. in a generic room above a tavern somewhere near lincoln park we all took our places sitting cross-legged on mexican blankets when the shaman came in. he and I were the only men in this room full of women. he wore a soft white cotton karate suit and had a distinctly wisconsin-ish bent to his words (wisconsin=opposite of peru). he lit some incense. there was a dana carvey/andy kaufman vibe about him as he sprayed us with rose water and chanted to the pachamama. he gave us rocks and told us to carry them around. rocks were our grandparents. he talked of his numerous trips to south america and his studies with the masters. he led us into a guided meditation with the intent that we would seek and make contact with our spirit animals. i shut my eyes and listened to his voice mix with the sound of a dozen ladies breathing. i rolled with it. the room melts away. i sink deep into the earth and and feel the cold wet black soil surrounding me. keep breathing. the fertile soil covers me and i sink deeper. black rich dirt & a cold light. i’m an infant in that soil. i’m aware of my soft pale skin and a need for help. maybe i’ve never seen the sun? i will die without help. run out of air and starve. my hands don’t work. i can’t swim in this. sinking deeper into the dirt i feel a presence and know i am not alone. i have dreamed this before. there is someone here with me. the soil surrounding me begins to stir. something from outside of me says “breathe and stay here”. colder lights swell up and waves of soil move my body. a black ant the size of a german shepherd puts his face a millimeter from my face. he gives me air and takes some of mine. there is no emotion but i feel safe. held. the earth moves around me and hundreds of these enormous ants surround me. they crawl over me. i am fed. they give me air. a warmer light seeps in through the black ants bodies and moves through clumps of wet dirt. i feel a beautiful impersonal love. don’t question it. i’m safe. i’m ok.
most of my classmates saw giant pandas that talked to them or rode on the backs of eagles. beautiful majestic animals. a few dolphins. wild horses. my cousin was lead through a jungle by a telepathic panther. everyone in class talked about their animal spirit. i kept quiet. didn’t know what just happened or how to feel about it. in the car on the way home my cousin asks me i’m ok. she asks about my animal spirit. “bugs” i said. This entry was posted in news on March 21, 2016 by tim rutili.